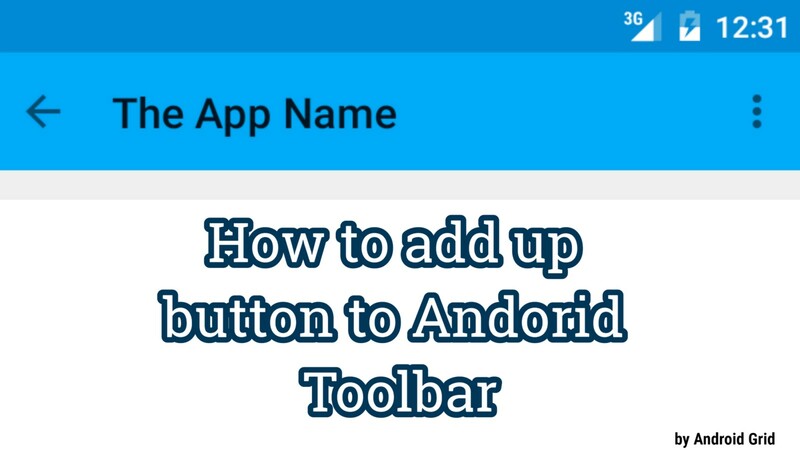 This is my first post on Android Grid, and in this article you’ll learn “How you can add up button on toolbar.” Well that’s easy, just follow my steps. There are two methods to add a up button. First I gonna show you the modern method. We need a toolbar in both methods so add a reference for the toolbar in you onCreate() method. It’s a little code segment you have to add in your activity. you can change the R.drawable.ic_arrow to your own icon. This is a old method but works well. 2)Now we are going to add a call for up button. Ankit is self-taught Android App Programmer. He provides Android App Development Tutorials to Android Grid. Here you can find Android Development Tutorials. Make high quality android apps.